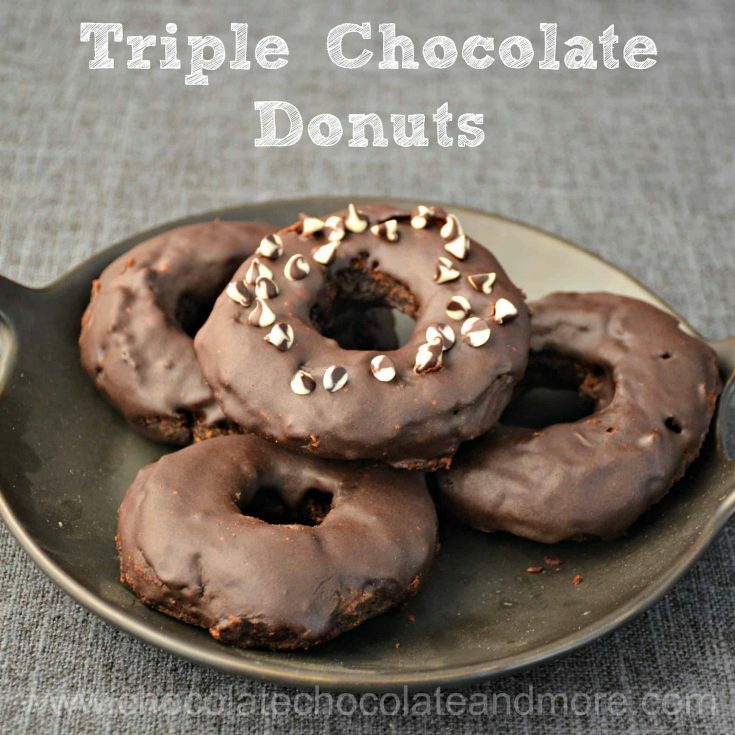 Triple Chocolate Donuts - Chocolate Chocolate and More! 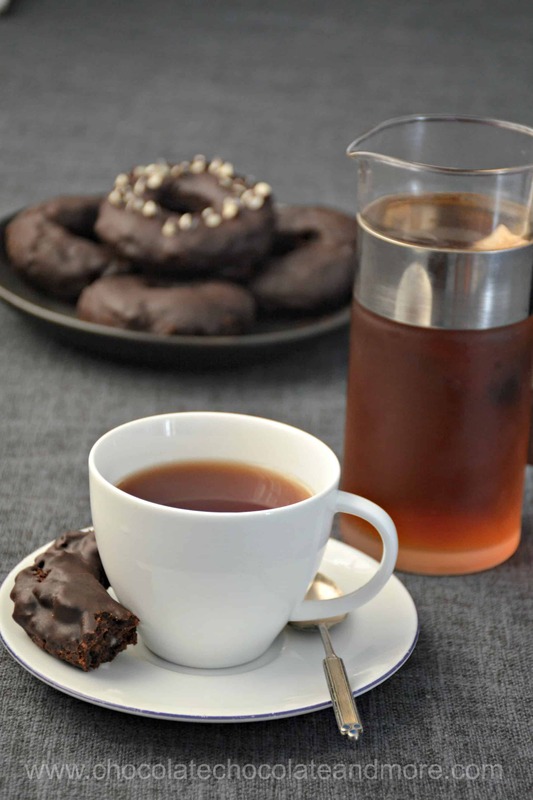 Start your day with some warm triple chocolate donuts – fudgy chocolate cake with chocolate chips and chocolate glaze. You can make the dough the night before, refrigerate it and fry in the morning for a wonderful breakfast treat. I’ve been wanting some warm donuts for a while. There really isn’t anything much better than a warm donut. And, of course, they needed to be chocolate. 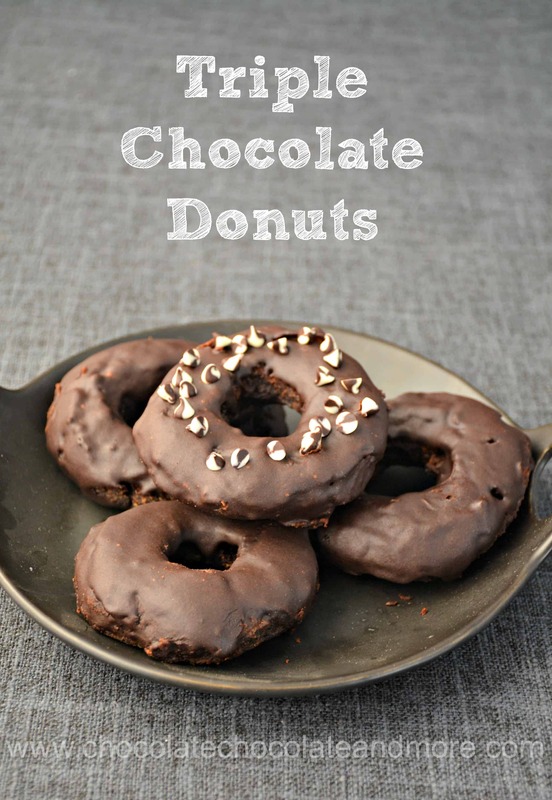 Serious Eats has a highly rated chocolate donut recipe with vanilla glaze. I started there but changed the glaze to chocolate and added mini chocolate chips. Now, I’m not a morning person. I’m pretty much in a fog until the caffeine kicks in. So making these first thing in the morning probably wasn’t my best move. I wrote down the recipe from Serious Eats. Then, in my groggy pre-caffeinated state, I added the milk for the glaze to the donut dough. Oops. The added milk made the donuts a little more moist but it also made the dough too soft to easily drop into the hot oil. So I refrigerated the cut donuts for 30 minutes before frying. Problem solved. The donut rings fried up fine. This also means you can also prepare your dough the night before instead of trying to make these while caffeinating. Now the glaze. The original recipe didn’t make nearly enough glaze so I doubled the glaze. 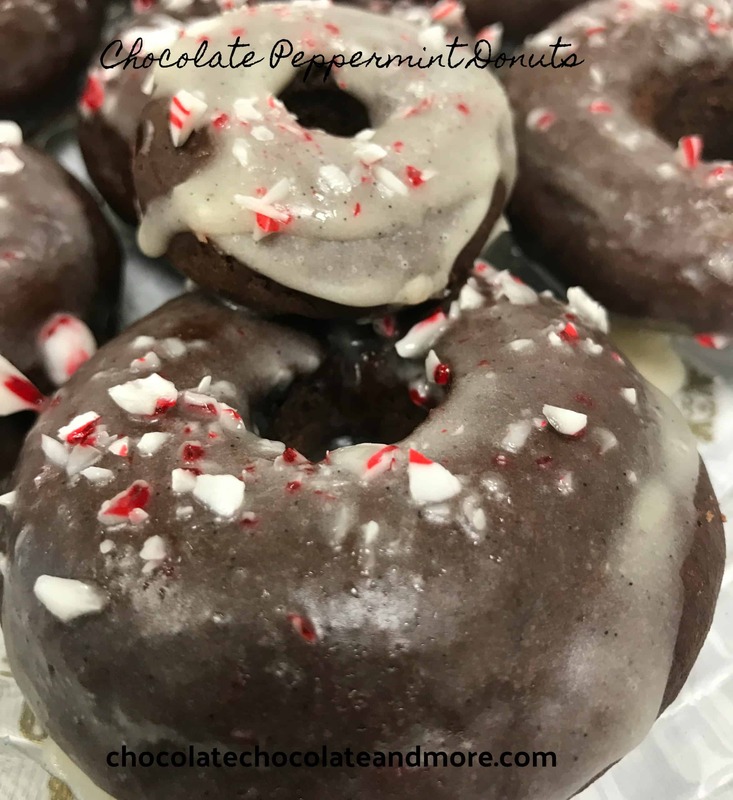 For triple chocolate donuts, I also changed it to a chocolate glaze. Yes, there really are 4 cups of sugar in that glaze. Crazy, I know. I tried reducing the sugar but I ended up with sticky frosting rather than a glaze that hardens. If you want less sugar and don’t mind sticky donuts, you can cut the sugar in the glaze in half. Mix eggs, melted butter, yogurt and milk together. Then add the liquid ingredients to the dry ingredients. You will have a VERY sticky dough. Heavily flour the work surface and your rolling pin (I used about 1 cup of flour in the rolling and cutting process). Turn the dough onto the floured surface and pat with your hands down to about 1 inch thickness. Use the rolling pin to roll out to 1/2 inch thickness. Flour your donut cutter and cut out the donuts. I wiped off excess dough and re-floured after each donut. Place donuts on a baking sheet and refrigerate at least 30 minutes. Heat cooking oil to 375°F. Test oil with one of the donut holes. It should fry up in 2 minutes after rising to the surface. Cook donuts 2-3 at a time. The dough sinks to the bottom of your pan (fryer) and then rises to the top. Once the donut rises to the top, fry for about 2 minutes on each side. Place hot donuts on a paper-towel lined rack to cool a bit and draw off excess oil. Mix powdered sugar, cocoa and chocolate extract into hot milk until sugar dissolves. You may need to add a tablespoon or two more of the milk to get the right consistency. 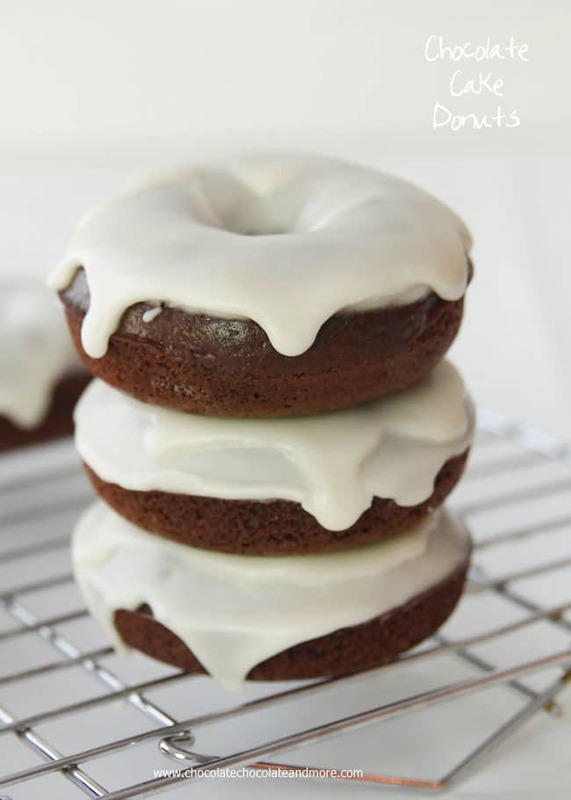 Dip the tops of the donuts into the glaze and set on parchment paper (or a serving plate if you're eating right away). These are best served warm or at least eaten on the same day. They do freeze well. Can you bake them in the oven and if yes, what temperature and for how long? Hi Sharon, I don’t know as I didn’t try that. I’m wondering if they might come out more like cookies if you baked them in the oven. If you do, I’d try it at 350°F and maybe 10-15 minutes. I think I am blind as I can’t see how much oil is used to cook the donuts. My guess is somewhere around 3 – 4 cups oil, please advise. Hi Laurie, I didn’t put a measurement on the cooking oil because it depends on the size of your pan. I used a 9″ cast iron skillet an filled it about 2 inches deep. That was about 1 quart of cooking oil. Which flour did you use? I used all purpose flour.